There are countless articles on the internet talking about this mysterious planet, some of these refer to it as possible ‘murderer’ of Earth. All kinds of dreadful gravitational phenomena are connected with Nibiru and some even argue that Planet X or Nibiru poses a threat to Earth, and that one day it will collide against our planet. Science argues that it might exist, but they just haven seen it yet. Mythologically speaking, Nibiru is present in many ancient Sumerian writing. Due to the large number of natural disasters that have happened on our planet in the recent years, many people claim that it is due to the approach of Nibiru, aka The Twelfth Planet or Planet X and many researchers warn of a global catastrophe. Ufologists believe that astronomers and scientists are monitoring Nibiru although this information is kept hidden from the public as many other subjects. There are many ufologists who suspect that agencies like NASA, are searching in the background for the ancient planet Nibiru, home to the annunaki. Media reports in Russia point toward certain people predicting that this mysterious planet is approaching Earth, and that the consequences of this encounter could be catastrophic bringing upon our planet many disasters including earthquakes, floods, tsunamis, fires and meteor showers among other things. But does this planet actually exist? In 1976, the late Zecharia Sitchin raised a controversy with the publication of his book “The Twelfth Planet”. In this and subsequent books, Sitchin presented his translations of ancient Sumerian texts which tell an incredible story regarding the origins of mankind on Earth, stories that are completely different to those that most of us learned in school. According to the ancient cuneiform texts, which are believed to be some of the oldest writings known to date, go back at least 6,000 years. These writings explain the history of a race of beings called the Anunnaki. The Anunnaki came to Earth from a planet in our solar system which is called Nibiru. Sadly, many people have never heard of it, because according to mainstream science the planet called Nibiru does not exist. However, according to Sitchin, the presence of Nibiru is very important for the past and future of humanity. 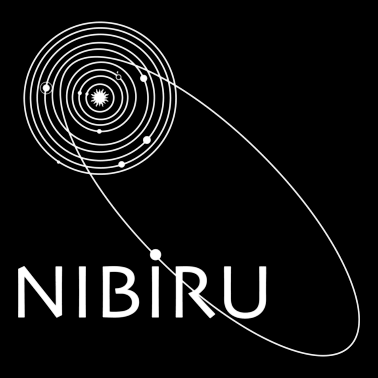 The orbit of Nibiru around the sun is believed to be extremely elliptical, and according to text, it is located far beyond the orbit of Pluto. Bribe takes around 3600 years to complete one orbit around the Sun. Nibiru is believed to be the home planet of the Anunnaki. The approach of Nibiru towards the planets of our solar system might pose a huge threat given its gravitational characteristics. Something out there beyond the farthest reaches of the known solar system seems to be tugging at Uranus and Neptune. Some gravitational force keeps perturbing the two giant planets, causing irregularities in their orbits. The force suggests a presence far away and unseen, a large object that may be the long- sought Planet X. 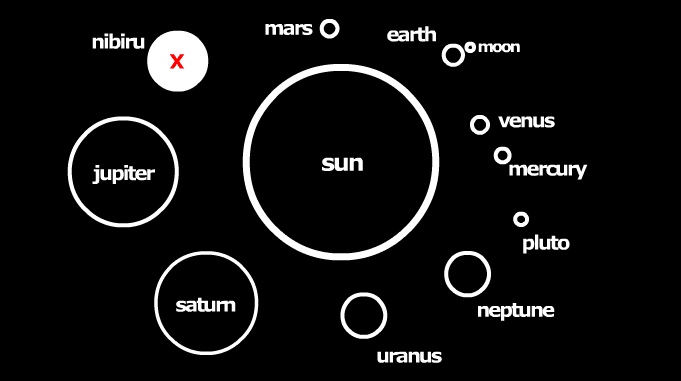 … The last time a serious search of the skies was made it led to the discovery in 1930 of Pluto, the ninth planet.